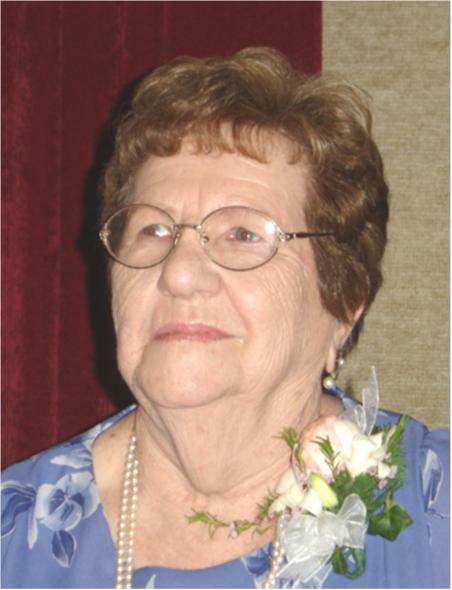 Vera Marie Murray, late of Weyburn, SK, passed away June 8, 2018 at the age of 91 years. Vera was predeceased by her husband Samuel; son Robbie (in the RCAF); granddaughter Kimberly (in Australia), and her brother Bob. Tasman Australia; half brothers Morley and Alvin Mazurak; half sister Audrey Webster; as well as numerous cousins, nieces and nephews. Mom was born in Amulet, SK on Valentine's Day 1927 to Victor Mazurak and Annie Brock. When her brother Bob was born in 1928, they lost their mother due to complications. The father was a young man working on the railroad and as the crew was moving, he left them in care of their grandmother, Mary Brock. Many years later she formally adopted them and changed their name back to Brock. They grew up and went to school in Ogema. Mom worked in the bank for a while and then met her husband, Sam Murray. They were married in 1946 when he returned from the war. They lived in a variety of towns in including: Glasnevin, Roncott, Griffin and Weyburn. They settled in Weyburn to raise their family, Pat ( Jenny in Australia), Ken (Glenda in Ottawa, ON), Rob (deceased) and Carla (Steve at Carlyle Lake, SK). Mom and dad enjoyed life to the fullest and were out many nights dancing and spending time with friends and family. Card playing was a ritual part of life in the household. She was a longtime member of the Rebekah Lodge. Mom enjoyed having company, be they be family, friends or neighbors. She loved a good joke and loved to play tricks. Life was to be enjoyed. A Service of Remembrance for Vera was held Thursday, June 14, 2018 at 2:00 p.m. from RD Family Funeral Chapel, Weyburn, SK with Judy Beck officiating. Interment was held at Hillcrest Cemetery, Weyburn, SK with a luncheon following at Wheatland Senior Centre, 888 1st Avenue, Weyburn, SK. For family and friends so wishing, charitable donations in memory of Vera may be made to the CNIB, 2160 Broad Street, Regina, SK, S4P~1Y5.